Les Productions Flow is a film production company founded in January, 2011, by producer Stéphanie Verrier, with the intention of creating original content that inspires reflection, and brings light and resonance to the world. Our projects are run by committed creative staff who are motivated by a compassionate approach in both documentary and fiction projects. Our projects are designed for television, film and digital media markets. Les Films Flow is an affiliated company created in 2012 to manage projects. Our projects are distributed in theaters, on television and online. We have collaborated so far with Radio-Canada, RDI, Télé-Québec, ARTV, Canal D, l’ACIC (ONF), Les Productions la Fête, Travelling distribution, Prim, SPIRA, Vidéos Femmes, K-Films Amérique, la SODEC, le Fonds Rogers, le Fonds Bell et le FMC. Check out the profile of our talented filmmakers ! With over 16 years of experience behind her and a around twenty productions under her belt, Stéphanie Verrier founded Les Productions Flow in 2011 to make moving, creative projects with a social impact. Stéphanie completed degrees in Graphic Design, Screenwriting and Film Production before starting out at one of Montreal’s heavyweight production houses, Productions Virage. 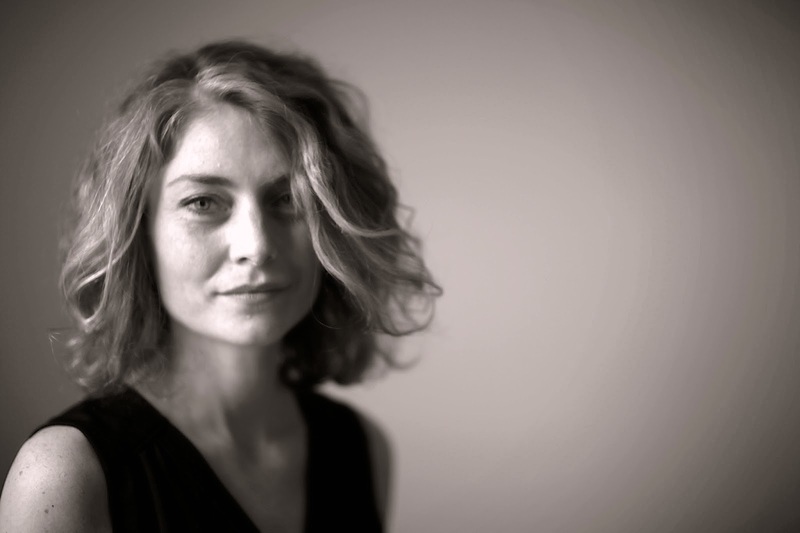 During her nine years at Virage, Stéphanie developed the award-winning documentaries Migration amoureuse, Hotline, and The Children of Bill 101, among many others. With her own company Les Productions Flow, Stéphanie produced the festival hit INA LITOVSKI, a short fiction by award-winning filmmakers Anaïs Barbeau-Lavalette & André Turpin that has toured more than 45 festivals since its release in 2011, launched in world premiere in Locarno and US premiere at Tribeca Festival, and winner of the best Canadian short film at the FICFA 2012. Stéphanie has also produced the documentary Police Académie (for Radio-Canada & RDI) and Police sous surveillance, both released in Winter 2016 and nominated for best society documentary, best editing and script ate the Gemini Award 2016. She is currently completing the production of the film Predators, a feature-length documentary to be release in 2020 on Canal D.
She is also distributing her last production, François Barbeau: a costume Master, directed by Jean Beaudry, while developing documentaries for international coproduction, such as Stateless, an investigation documentary, and a docu-musical project with director Vali Fugulin, entitled “Resilient voice ” that will feature Oscar-nominated singer Betty Bonifassi.